Asia has many fascinating things and experiences to offer from the most exquisite and exotic gastronomy to the most exciting adventures. And yes, here you can also find amazing live music bars and today Apoteka Gastropub will present them to you. It is always good to have different things to do in the evenings, so if clubs are not your thing and you prefer to listen to great live music in a pretty good environment, then read and pay attention! If you are in HK and are looking for an authentic live rock music bar, then look no further than The Wanch. Since they opened their doors in 1987 they have remained as the original and authentic rock spot of this city. It is accurate to say that practically every single band in this city has performed in this bar at some point. Even though this bar is not as glamorous as other places, it is an authentic music venue, especially for those who want to listen to new bands. Therefore, if you are looking for something that completely breaks the mold, then you should visit The Wanch. If you really like live music and are looking for a truly interesting experience, then you need to visit this bar. And what about food and drinks? Even though here you won’t find the great variety of other venues, the principal attractiveness of this place is the great music and environment. You can still enjoy of a tasty bacon, turkey or cheese buttie. Moreover, they offer a free snack plate from Tuesday to Saturday. 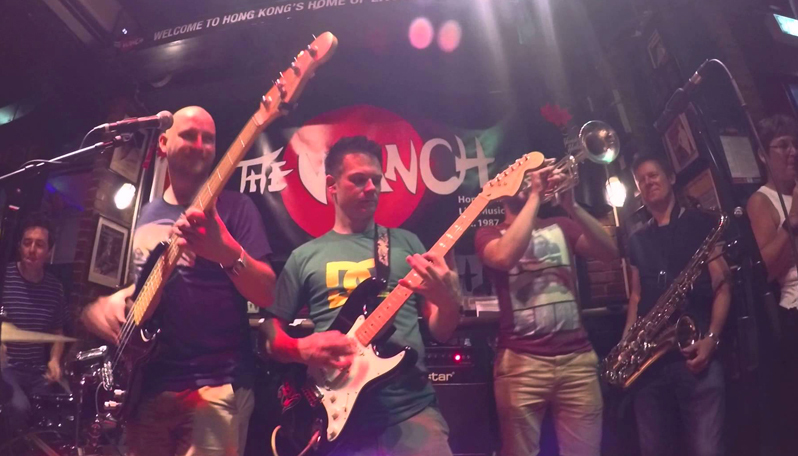 Therefore, if you are looking for a place with outstanding music and the authentic music venue atmosphere, then look no further than The Wanch in Hong Kong. I know some will say that there are better options, but when it comes to live rock music this is the definitive winner. Here you will be able to enjoy the most delicious Spanish tapas and paella along with the most exquisite dishes from Peruvian cuisine like ceviche, and of course, the emblematic Pisco Sour. You will have a great variety of dishes at your disposal so you can feel completely satisfied, and yes, clients love the food cooked by the talented chefs of this bar. If we talk about food, spirits and cocktails then you can be sure that you will have a pretty good time in Pisco Bar… but what about music and the environment? Let’s review it! What we love about this bar is the atmosphere: it is pretty chic, chilled and sharp. Therefore, it attracts a great variety of attendants from tourists to expats and professionals. That’s why you can come here and meet new people without problems. Pisco Bar is known in Kuala Lumpur for bringing the best DJs in town for amazing live music performance, and not only that, because they also host live dancing performances. There isn’t a determined style of music as it is up to the DJ of the day, but in general the environment is pretty fun and chilled. Pisco Bar also allows you to rent the whole place and customize everything to what you have in mind. That’s a huge advantage, because you can customize everything from the music to the food. And yes, they do a pretty good job! All in all, this is one of the best live music bars in Kuala Lumpur and Asia. It is definitively worth a visit if you are around! If you are around Singapore and looking for a pretty good live music bar, then you should visit the Crazy Elephant Bar. The crowd in this place is very varied, as you will find locals, tourists and expats. This bar is famous because it not only puts small local bands in scene but also big ones, because famous bands like Deep Purple and singers like Robbie Williams have performed here. So, you can deduce that this place is the bomb! And several others… this is more than enough to see that this place is an important part of the nightlife scene in Singapore. 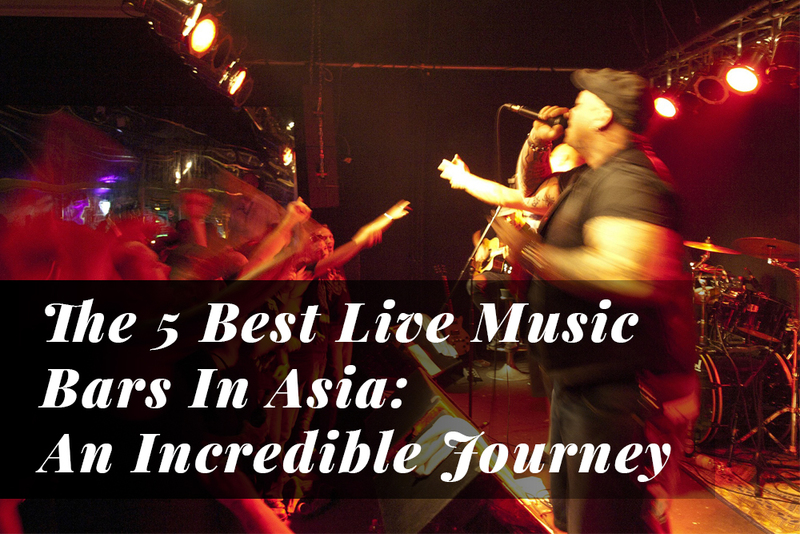 That’s why it is a must-visit if you want to watch some of the best live rock performances in whole Asia. 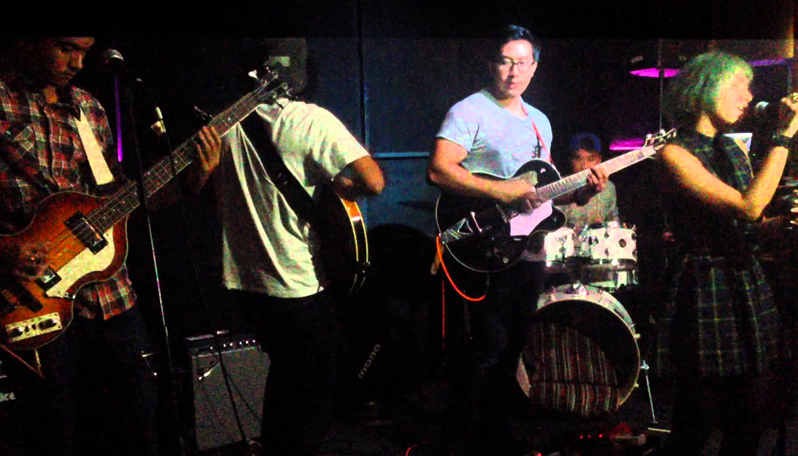 If you choose to attend Crazy Elephant Bar, then you will be happy to know that here you will find the trendiest and most talented rock and blues bands in Singapore. 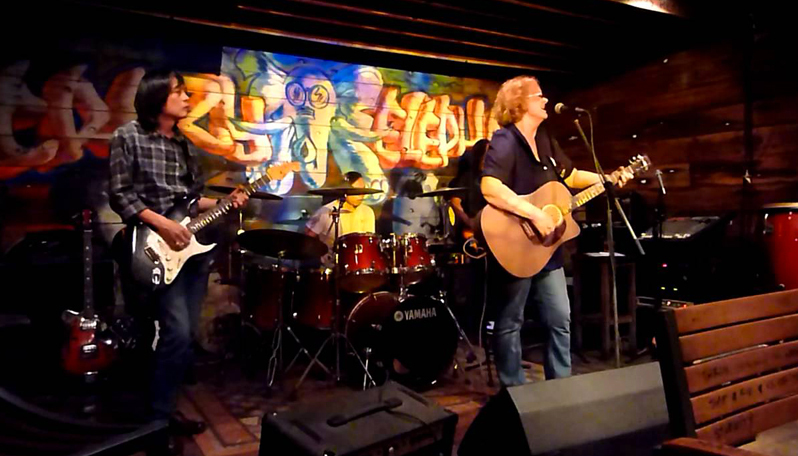 And well, just a little extra tip: go on Wednesday or Saturday for enjoying the performances of Blues Machine Band. If you are fan of blues, then by all means follow our advice! Want to be part of the fun? Then you will be happy to know that you can perform on stage in the jam sessions that are usually organized on Sundays. You just need to tell the bar staff that you want to perform and that’s all. And there’s another element that makes the atmosphere so good: they broadcast funny jokes on TV screens. This definitively adds a more special and fun vibe to the place. The service is pretty good: they are fast and friendly. The staff is always ready to help and they actually enjoy their job, so that’s a huge plus! The food and drinks are top-notch as well. You have a great variety of dishes, cocktails and spirits at your disposal, so there’s plenty where to choose from. In conclusion this is the best live rock music bar you will find in Singapore… guaranteed! 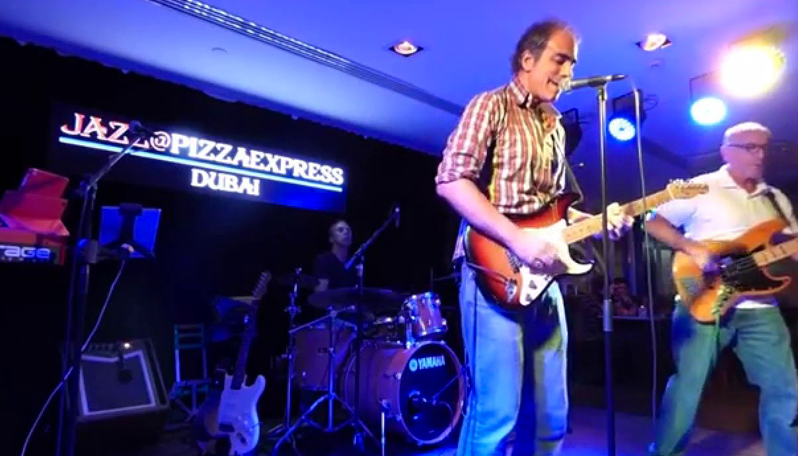 Dubai has many great venues, but this British chain of Italian food restaurants is actually pretty good when it comes to live music, especially Jazz. And yes, the pizza is incredible and quite affordable in fact. That’s how they advertise themselves: Beautiful music, stunning design, unique experiences and exceptional food. Hence, it is the perfect environment is you want to watch some of the best bands in the city while enjoying of a delicious meal. You will watch live performances every single night, and yes, they solely offer the best singers and bands.  That’s one of the reasons you need to visit, because they take quality very seriously. The environment is pretty good as well, it is modern, comfortable and you will meet lots of new persons. As the city is primarily inhabited by expats, you will have high chances of meeting them here, especially if they are lovers of good jazz. Here you will find world-class musicians every single day, an excellent and elegant environment and the best service. So, if you are around Dubai then this place is worth a visit, especially if you love Jazz music. If you want to enjoy of the finest rock music, then Acoustic Bar is the place to be. Here you will be able to watch the most talented bands in the country performing the best classics of rock music, and yes, you can also hear newer styles and songs. The unique downside of this place is that they don’t serve food, so make sure to take this into account. On the other hand, you have at your disposal a great variety of cocktails, drinks and liquors. What about the crowd? It is pretty mixed to be honest, because here you will find locals, expats and tourists in great quantities. Therefore, if you are looking to meet new and interesting people, then this place is ideal. 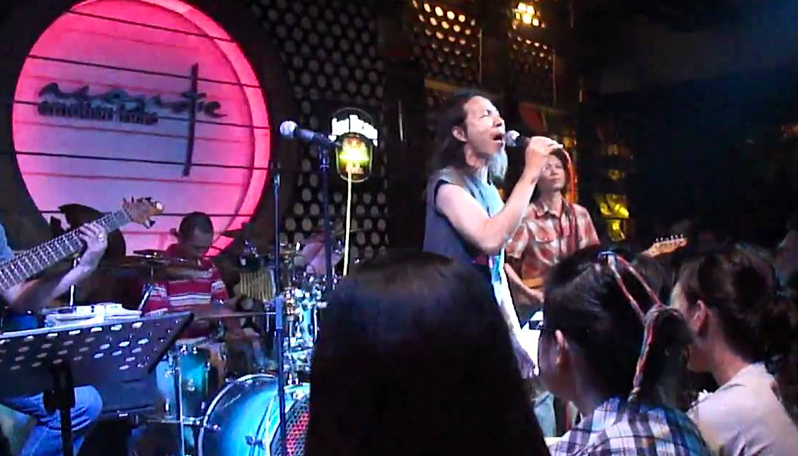 Everything in this place speaks rock, so if you are want of this genre and want to listen to the best rock songs from all eras, then you will have a great time at Acoustic Bar in Ho Chi Minh City. Now you have a great list of excellent bars with live music. Some might argue that they are not the fanciest, but hey, we are talking about music, aren’t we? These venues offer you the best live music experience, because they solely bring the best bands and singers on stage. Have you visited any? Do you have any special recommendation? If so, feel free to comment and let us know! We’ll get back to you as soon as possible.